At Jeanne Marie we are delighted to present this product available for flower delivery in Newcastle and surrounding areas. 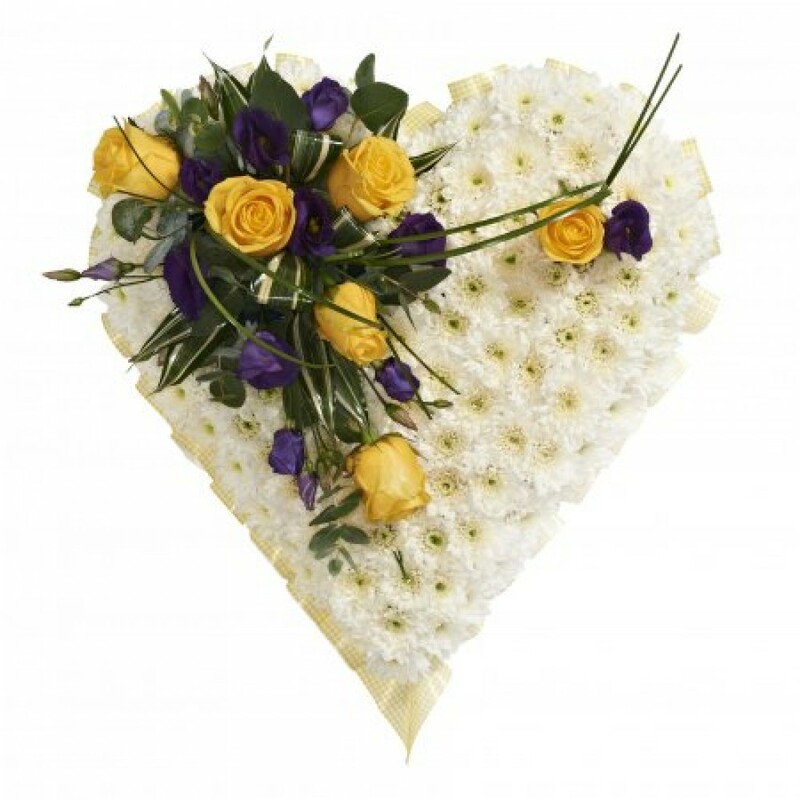 Funeral heart in white to include a purple and lilac cluster. Please advise of alternative colour scheme. This product require 3 days notice for delivery.